Air conditioning - mechanical fan, electrical fan or both. I am slowly planning out installation of air conditioning in my car. Like most projects, I like to plan it out endlessly before knuckling down and doing something. I am also a bit A/C challenged where despite living in Australia, I grew up in the UK where A/C (used to be) very rare. What I am pondering today is fan usage. I am going to get a large parallel flow condenser in the nose which will be sandwiched up against the outside face of the radiator. 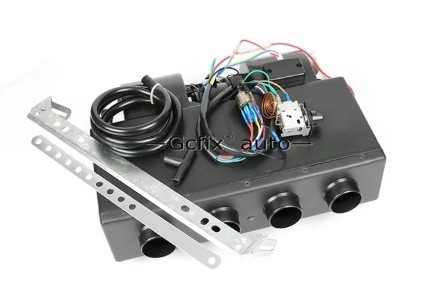 If I can get a large, quality electric fan in the nose (say 14”), can I wire this to run with both the Airconditioning being on and with a coolant temperature switch in parallel so one fan will cool both? Does anyone run this arrangement or do I need to keep the mechanical fan? What about the condenser fan running all the time the air is on? Is that an issue at highway speeds? I think you can squeeze a 12inch pusher in front...but I can't see a way of replacing the mechanical fan with a larger electric puller fan...the water pump is in the way.. so maybe you could delete the water pump n switch to electric... But that's a dangerous upgrade spiral. Also consider the amps the fan needs.. maybe an alternator upgrade is also required. I didn’t mean to install it on the engine side, I meant in front as a ‘pusher’. I have already upgraded my alternator and I am willing to leave the engine driven fan in place but I wonder if that’s necessary if I can get a decent electric fan in front to blow through both the condenser and the radiator. Sorry misunderstood. The biggest fan you can fit in front is limited by the two vertical struts that support the bonnet hinges. With them in place the max is 12inch. My restoration that is taking forever may be a test mule for some. I went with a low profile SPAL 11 inch fan initially just for my parallel AC condenser. It does not push as much air as the 12 inch Spal full size fans. I, like Simeon was planning to run both a mechanical and electric fan. Well, my IE aluminum radiator has made it difficult to fit the mechanical fan. So it was deleted. So far just "on the bench" the engine running for quite some time in a garage, the 11 inch Spal fan, IE aluminum radiator and a lower temp thermostat without the mechanical fan have kept things cool. 1. Was not tested in stop and go traffic. 2. Was not tested with the AC running. 3. It now cannot be tested in summer weather, now for another 9 months. If I run into cooling problems next summer, I will consider going with a 14 inch fan, or find a way to make the mechanical fan fit if possible. (yes I did use the mechanical fan blade recommended by IE). Recommendation: (as per Rob Siegel the Hackmechanic) I would run the largest Spal fan you can fit in the nose that pushes the most air. (12 inch for roundies and 14 inch for square tails) to chill the condenser. If you have a high capacity radiator, you may be fine without a mechanical fan (If you plan to delete it). It seems that Spal is popular because they are honest about how much air they actually move, and they seem to do the job. The Spal fan thermostats however are not that good. In a slightly contrarian mode--my '73 was fitted with a Frigiking unit by the selling dealer before the car was delivered--in California. No electric fan was fitted, just the original 5 blade "tropical" water pump-driven fan. While the car would run warmish (temp needle about 2:30) in the summer with the air on, it never overheated. Thanks Mike, that’s just the contrary opinion I hoped to hear. Heading slightly off topic, I noticed that the giant Mercedes Benz limos on display at the local car show didn’t have a separate electric fan on their condensers but then they were large enough to run a butchers truck. 1) My condenser is not mounted vertically nor directly on the radiator, its mounted leaning forward because it is mounted to the nose cone supports. My electric fan is directly mounted to the condenser and so also leans forward. 2) My mechanical fan and electric fan setup is excellent and i have great AC and no overheating issues. 3) Why would you want to remove the mechanical fan? Its already in place and working and just seems like extra work. 4) Electric fans are pretty damn loud and im not sure i would want it going all the time as my main cooling fan. With an oversized condenser I have not found the need to run the 11" Spal I stuck to the front of it. The effect of running the fan to cool off the condenser at allow cooler cabin air has been found by me to be negligible. And it's HOT and humid here. I pulled the mechanical fan when I installed the E21 radiator and found insufficient cooling in stop and go traffic with just the condenser fan. 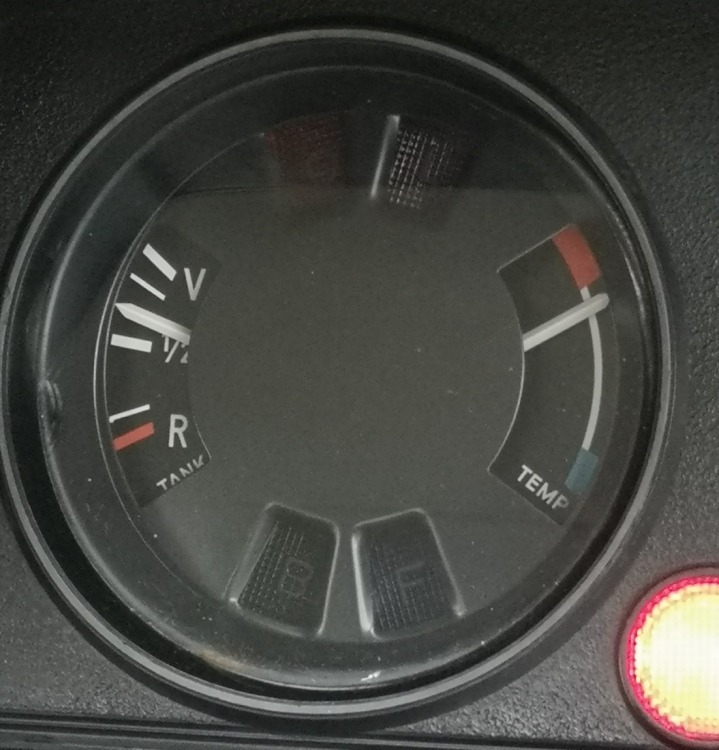 So, because I'm a hack I bought an used Spal VA22-AP11/CWP 4" motorcycle cooling puller fan and stuck it on the front of the radiator at the right top. That took care of the overheating issue. In hindsight I would have been fine to not install a condenser fan with the 11 x 20" condenser and to retain the mech fan. OK, here is a supplemental question for 10 points: I am investigating the use of an atypical interior evaporator/ fan unit, compared to the classic Fridgiking, Clardy and Behr systems. Does anyone have any idea of the cooling output of these classic systems (in BTU/Hr or whatever units) so I can compare with the alternative units. I am a bit confused though as I have seen evaporator units listed between 12,000 and 22,000 ‘BTU’. Pretty sure that the ducted air conditioning that I installed in my house in Adelaide cooling 5-6 rooms was 12,000 BTU per hour. That’s certainly the right price. Have you got any photos of your installation? 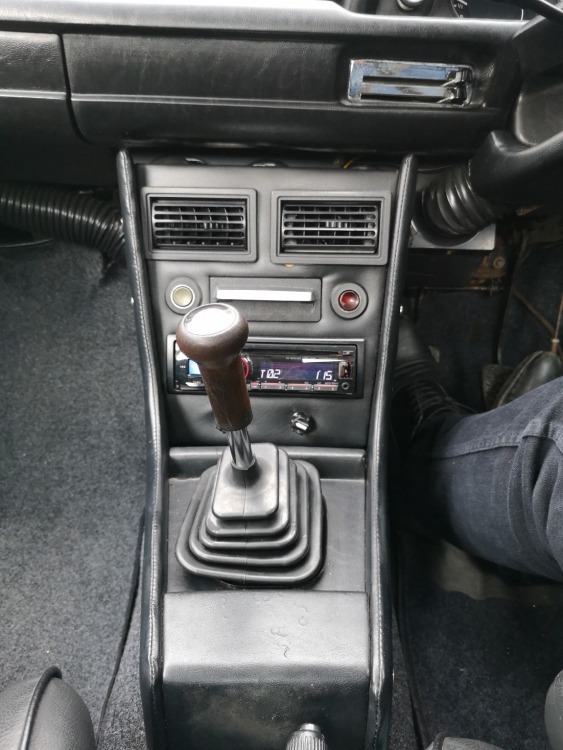 Here's my homebrew centre console fashioned from plywood in an original style. You can see the two vents that are connected to two of the outlets on the AC unit, the other 2 outlets connect via the black flexihoses to the original demisters vents. In this climate AC is important to demist windscreen in heavy rain.. otherwise car is undrivable. Cooling wise I have a 12 inch Panasonic pusher in front, a standard 360mm mechanical fan plus an E21 fan shroud. Temperature sits midway on the dial unless I am sitting in standing traffic, like today, when it creeps towards top of white zone but never in red. I would also be interested in finding out about this. In for the info.